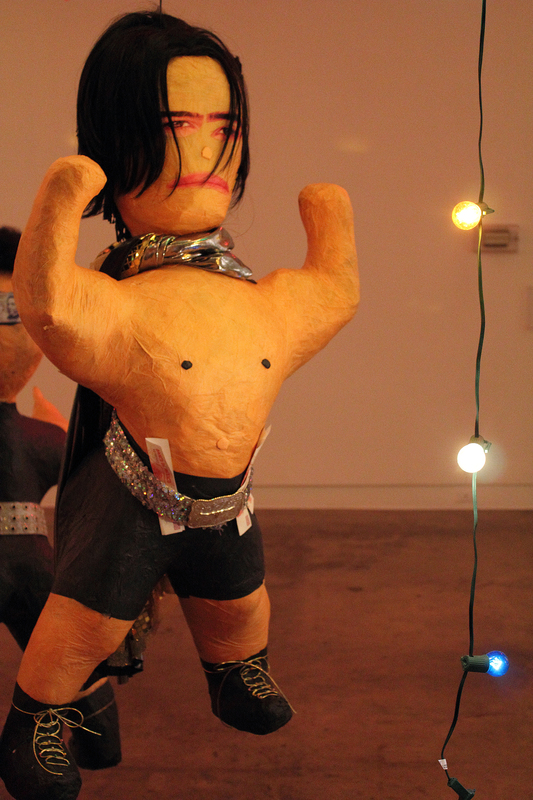 Above is a still from Quin Mathews’ video now showing in the third gallery at The MAC. The McKinney Avenue Contemporary (The MAC). If I hadn’t known better, I would have thought I had stepped into a church. And there was Leslie Connally and Judy Niven constantly reminding me to tone it down while Kitchen Dog‘s play was performing in the black box theater next to the galleries. Normally, all three galleries would have had festive Mexican music shaking the place up for this show, but not on Kitchen Dog’s nights. And then there was the church smell, aging flowers and burning candles. 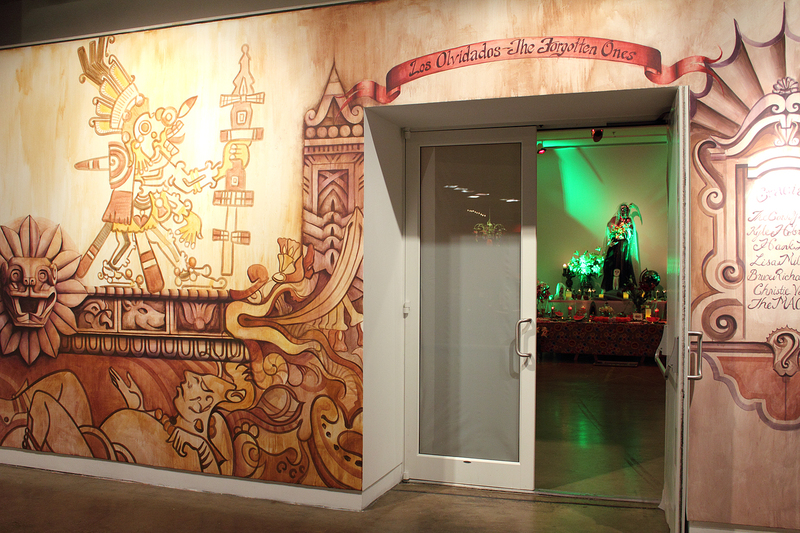 Above is the gallery entrance designed and painted by Dallas artist Kyle Hobratschk. The MAC has combined three themes to celebrate Mexico’s 200 years of independence from Spain. 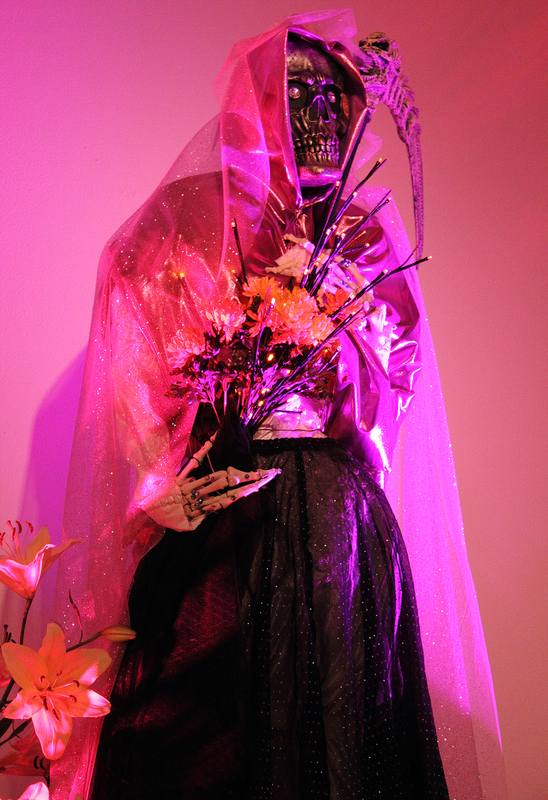 The two large galleries focus on The Cult of Death/La Santa Muerte and Los Olvidados/The Forgotten Ones. 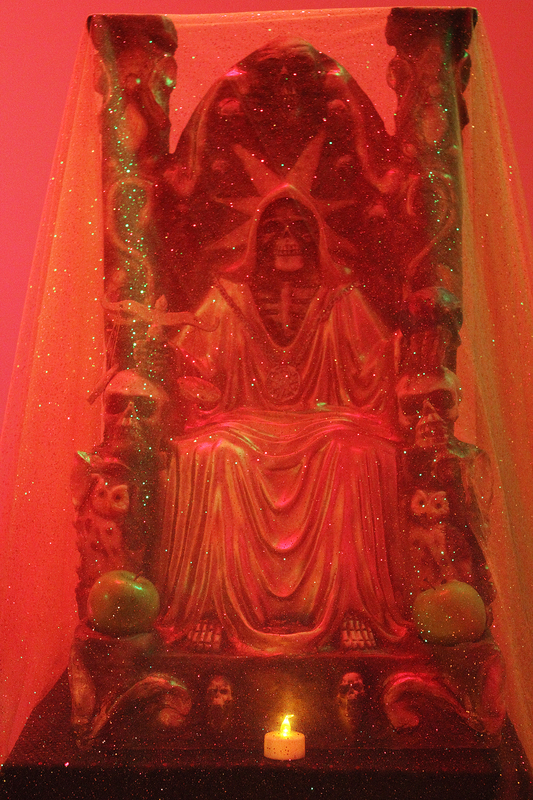 Recently the Catholic church has been having a devil of a time (no pun intended) trying to dissuade the Mexican culture from worshipping this macabre nonexistent saint, Santa Muerte (Saint Death). But for the forgotten ones, she symbolizes deliverance from sickness and poverty or death to their enemies. And they cling to him/her more than ever because of the crime and drug violence that the government and the Catholic church haven’t been able to control. It’s gotten to the point that the church has declared it a cult. Together, the two galleries explore the relationship between the increasingly popular cult of death and its correlation with the country’s forgotten citizens within a system that offers no other sanctuary for them. The third and smallest gallery is showing a beautiful video by Quin Mathews, Los Colores del Cielo/The Colors of Heaven. The following description has been lifted from The MAC’s website: “In the summer of 2008, documentary filmmaker Quin Mathews visited many small villages in the Lake Patzcuaro area in the state of Michoacan in order to document the unique churches located there. These unusual folk baroque churches have become paramount in providing solace to the community in a time where drug and violence has persisted as a serious issue for the people of Mexico.” Unfortunately for me, the sound for this video and room was off because of the play. I’ll have to go back to enjoy this film as it was meant to be experienced. (above) The two photos are details of the first gallery’s alter scene. The top one is a depiction of Saint Death. (above two) These photos are details from the second and largest gallery. 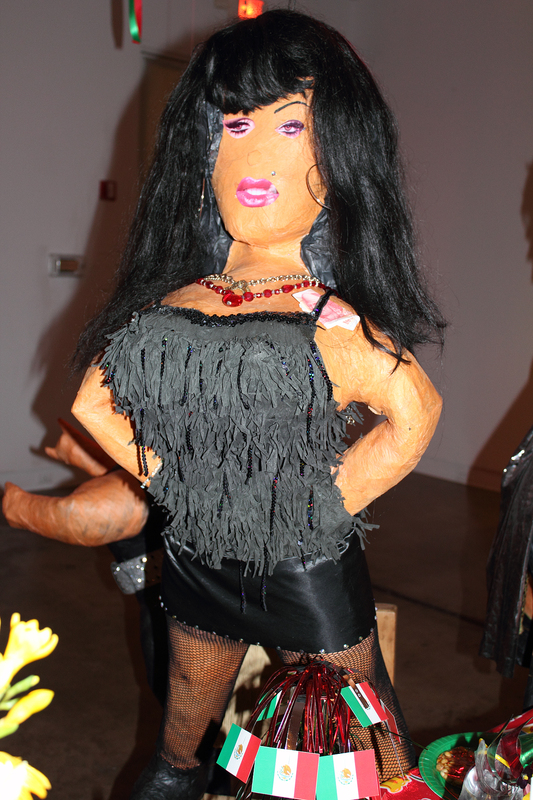 Cow Goddess (CG) considerably altered these piñatas to their present eccentric forms, a time consuming and laborious endeavor. The others involved with this show were Claude Albritton III, Liliana Bloch, San Angel Gallery, Hank Lee, Judy Niven, Bruce Richardson, and Christie Vela. Visit The MAC’s website for the show’s dates and The MAC’s hours of operation. Next post What Is that Funky Finish?